Within the framework of the 2003 Convention for the Safeguarding of the Intangible Cultural Heritage, this guide is intended to raise the capacity of teachers to incorporate local elements of ICH, and principles of ESD, into teaching and learning practices. The guide provides examples of how the teaching and learning of ICH for sustainable development has been creatively incorporated into several disciplines – such as mathematics, science, music and social studies – in various cultural settings. It also suggests steps for preparing and assessing lesson plans. 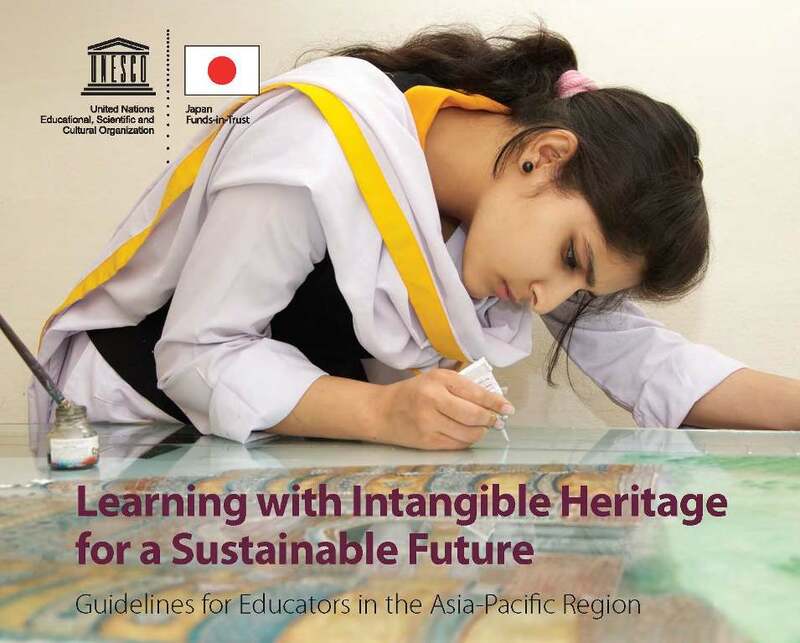 UNESCO developed this guide based on the results of pilot projects conducted in four countries in the Asia-Pacific region, where participants developed locally-customized guidelines and materials for the incorporation of ICH elements and ESD principles into teaching and learning in schools. The examples of ICH given in this guide are not more significant expressions than others and are not necessarily those that should be prioritized, they are just illustrative samples.